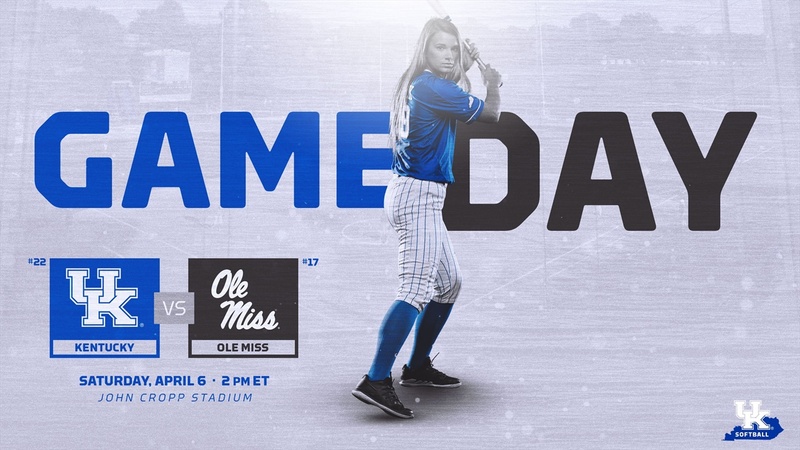 Due to expected weather conditions on Sunday, Kentucky and Ole Miss played a double header on Saturday in Lexington. After taking game 1 of the series on Friday night, the Cats looked to clinch the series Saturday by winning one of two. Despite their efforts, the Cats came up short in both games Saturday. Ole Miss opened up the scoring in the first and drove in four runs to take a commanding lead, (UK 0, Ole Miss 4). Jenny Schaper singled up the middle and drove in Kentucky’s first run in the second. Later in the inning, Kayla Kowalik knocked in a second run to bring the Cats within two, (UK 2, Ole Miss 4). The Rebels would add four more runs before Kentucky got on the board again to take an 8-2 advantage. The Cats would continue to fight and drove in two more runs but were unable to overcome the six run hole and dropped game one, 8-4. Jist like in game one, the Rebels opened the scoring early on a wild pitch and a walk that forced in a run, (UK 0, Ole Miss 2). The scoring would stop until Kentucky finally got on the board on an RBI by Tatum Spangler in the fourth, (UK 1, Ole Miss 2). Katie Reed tied the game up for Kentucky on an RBI double to left, however the scoring ended there for the Cats. Ole Miss would bring home four more runs on a home run, and a hit by pitch and sac fly with the bases loaded. The Rebels took the win, 6-2. Kentucky travels to Highland Heights to take in state foe Northern Kentucky Tuesday night at 5 p.m. ET.